Sharp MX5070N Photocopier - Photocopiers for sale and to lease from UK Photocopiers Direct : Sharp UTAX Toshiba ALL Models. Contact us now for best prices and service. 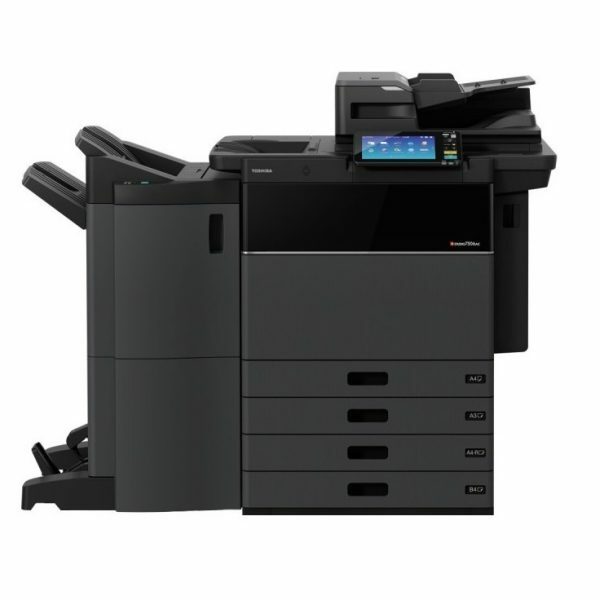 The Sharp MX-5070N A3 colour device is an enhanced solution centric MFP that optimises workgroup productivity anytime, anywhere. Single sign on cloud connectivity, mobile connectivity via WiFi, USB direct printing of MS Office files and OCR for scan to searchable PDF & scan to Office provide flexible workflows. The standard Print Release function allows users to send and store documents to a main MFP, which acts as a server. 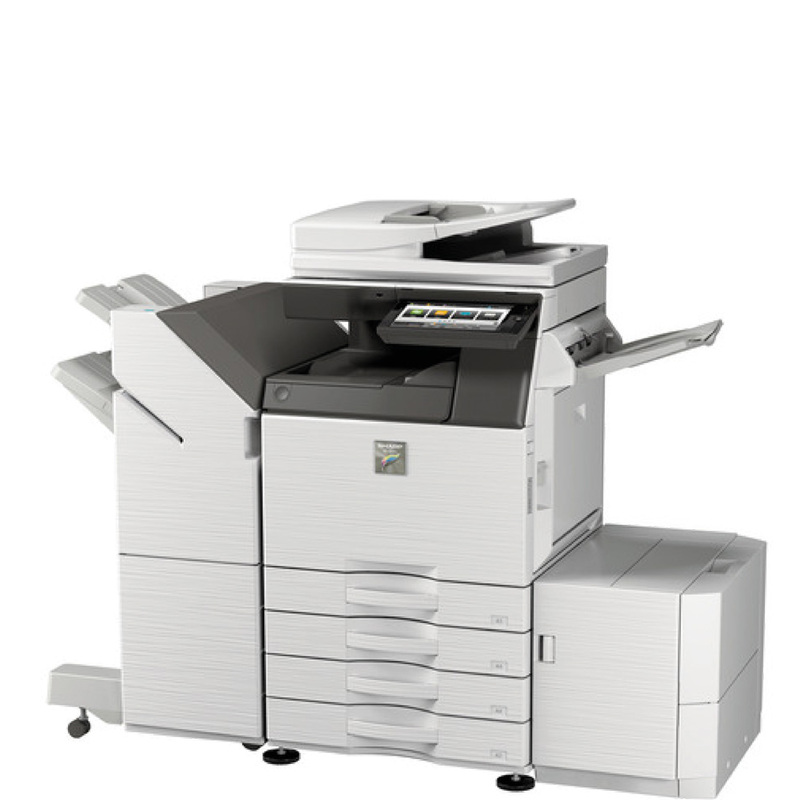 Print jobs can then be released securely at up to five connected network-ready devices. With print and copy speeds at 50 ppm in colour and black & white, a built-in 150-sheet Duplex Single Pass Feeder and a scan speed of 200 ipm all help to boost efficiency and productivity. 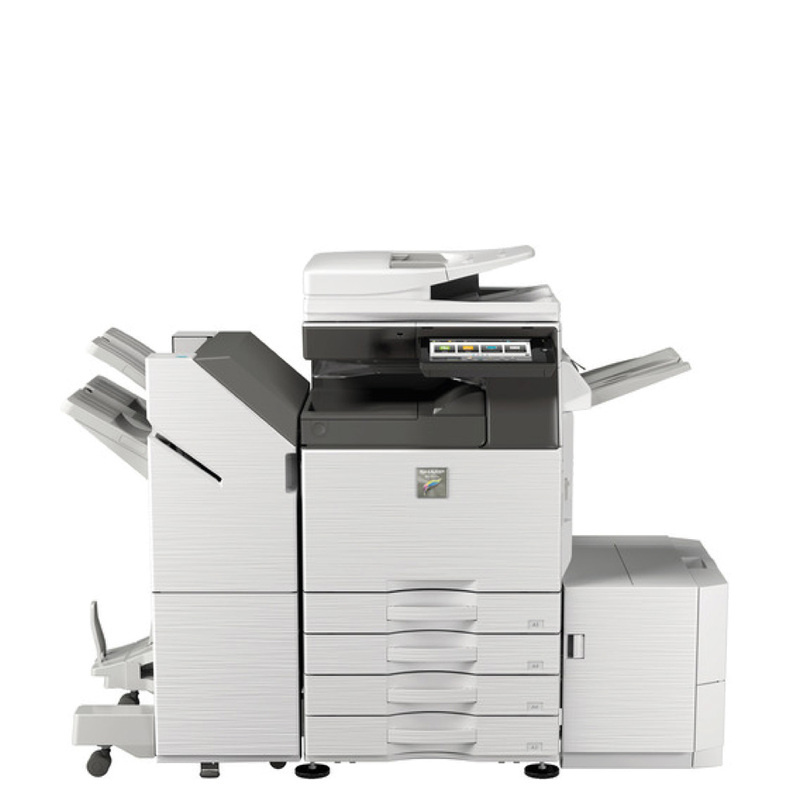 A maximum paper capacity of 6,300 sheets and wide media range up to SRA3 and 300 gsm enable this device to handle your varied output requirements with ease. A variety of finishing options such as saddle stitching, manual and stapleless stapling add further versatility. Superb 1,200 x 1,200 dpi image quality, plus auto process control and developer refresh system ensure consistently high image quality. The Energy Star-certified Sharp MX-5070N uses Sharp’s latest energy-saving technology. A rapid warm up time, low power consumption and low TEC value all aim to save money and support your environmental objectives. In addition, the automatic toner cartridge eject function ensures all toner has been consumed, thereby, saving resources.